Nearly a century-and-a-half after constructing the London-Calcutta telegraph line, the German engineering giant is still going strong in India. Shout it from the rooftops...one minute to Teheran and 28 minutes to Calcutta," wrote Werner von Siemens to his brother Carl on April 12, 1870. Von Siemens was ecstatic after his eponymous company successfully sent a telegram from London to Calcutta, now Kolkata, for the first time in history through an 11,000-km long telegraph line it had constructed. That line cut the time required to send messages from Britain's capital to the empire's India headquarters down from 30 days to 28 minutes. That line also laid the foundation of Siemens AG's association with India, which continues till date. Siemens is now one of the biggest engineering companies in the country with annual revenue close to Rs 13,000 crore. The India unit is also the fourth-largest contributor to the global revenue of Europe's biggest engineering company - after Germany, the United States and China. But the company's progress in India has been in sporadic bursts. It founded its India unit in 1922, but it was only after the country achieved independence from British rule that it started expanding. 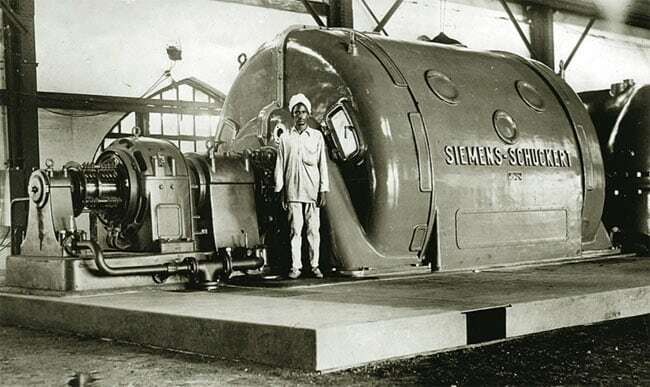 Encouraged by the industry-friendly policies of India's first Prime Minister, Jawaharlal Nehru, Siemens set up its first manufacturing operation in Mumbai in 1955. It started with a group of two dozen workers operating in a tiny workshop under the Mahalaxmi bridge. A year later, it began its first full-fledged factory at nearby Worli, making switchboards by using imported components and a few basic machines such as a drilling machine and a power saw. Over the next few years it started making health-care equipment and railway signaling gear, too. 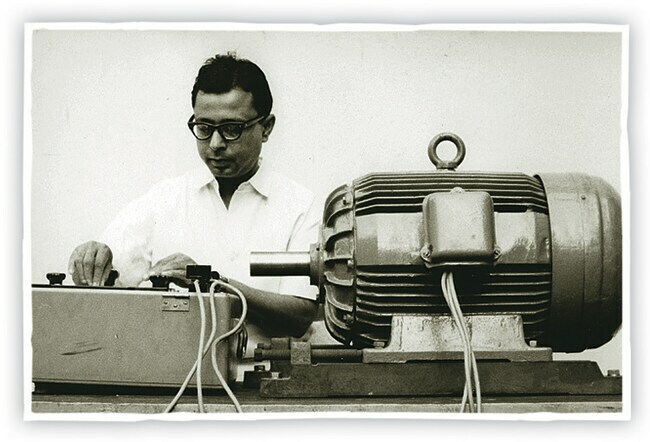 In 1966, Siemens set up a factory at Kalwa in Thane to make motors. 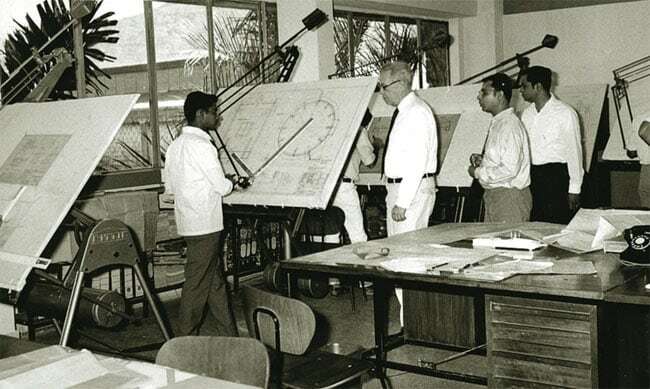 Bhaskar Mandal, Executive Vice President in charge of the industry division at Siemens South Asia, says that until the early years of this century the place was so deserted no employee would stay on after six in the evening. "You would see snakes crawling in the campus and the roads were empty," he says. "No more than 10 cars would be seen parked in the campus. Today, people struggle to find parking." Foreign companies operating in India faced difficult times in 1977 when the Janata Party came to power. The government wanted them to dilute their stake in their Indian units and form joint ventures with Indian companies as part of an effort to boost indigenous industry. The controversial policy led to the exit of US companies IBM and Coca-Cola. But Siemens stayed back as it was working in the core sector, says Tilak Raj Seth, Executive Vice President in charge of the infrastructure division at Siemens South Asia. In fact, during the 1960s and 1970s almost half the power plants and factories in the country were importing technology and products from the German company. 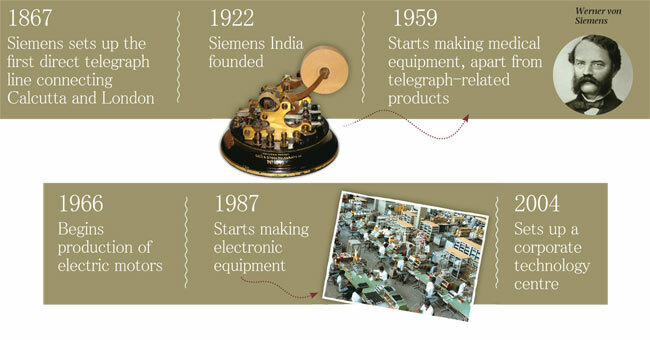 Though it had set up a few factories, Siemens India used to import the majority of its products from Germany until the 1990s. "It was the classical old trading model for Siemens," says Sunil Mathur, Executive Director and Chief Financial Officer at the India unit. This began to change after India opened up its economy in 1991. The India entry of European engineering companies ABB and Schneider intensified competition. Was Siemens prepared for the sudden change? "It was a double-edged sword," says Seth. "In some areas we were kings and in some areas we had no presence." 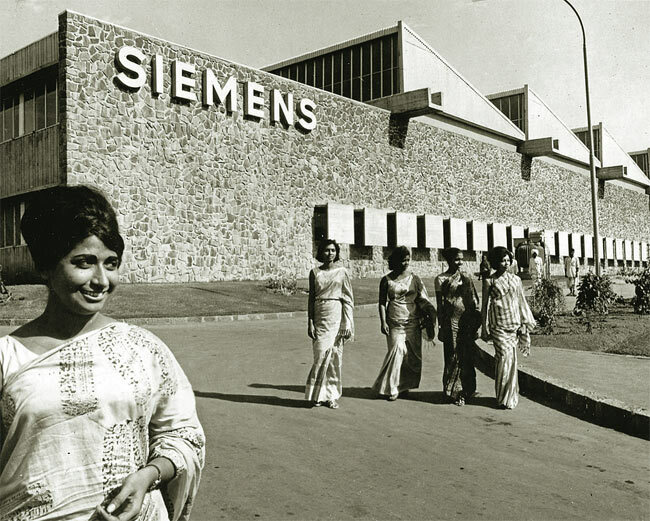 By the mid-1990s, Siemens India had doubled the number of its divisions to eight as it shifted its strategy from importing products to local manufacturing. "The design and products were from the parent but the products were stripped down to see how much we could make or source domestically," says Mathur. But rapid expansion took its toll. 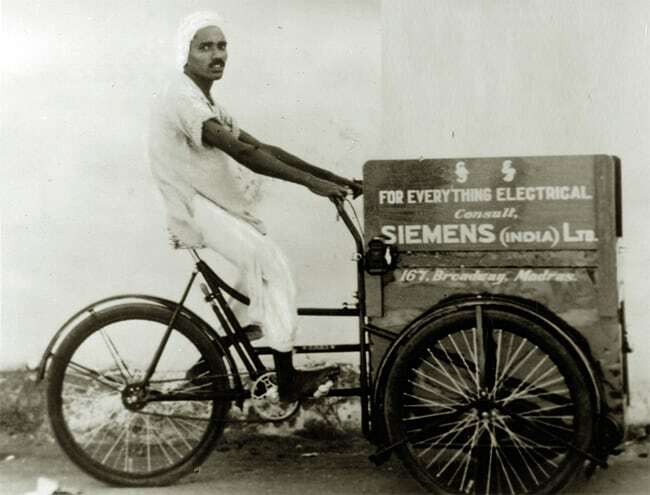 In 1996/97, its diamond jubilee year in India, Siemens posted a loss of Rs 84.5 crore. Seven of the eight divisions were in the red, recalls Ranjit Dalvi, Executive Vice President in charge of strategy for Siemens in India. "We were going overboard on growth and were not able to manage costs. Before it could go out of control we applied the brakes," says Dalvi, who has been with the company for 37 years. The company took tough measures to return to profitability. It cut employee strength to 4,000 from 8,500. "We turned the company around in 18 months," adds Dalvi. For the next few years, Siemens operated only four factories in India. Siemens changed tack again after it felt that Indian engineering companies such as Crompton Greaves and Thermax posed a threat. "Indian companies were below our radar till then," says Mathur. The company realised it had to design, develop and manufacture products locally to remain competitive. "Our philosophy changed. We decided to set up more factories in India," he says. Today, Siemens has 20,000 employees at 23 factories in the country. In 2009, it launched the SMART strategy. SMART refers to simple-to-use, easy-to-maintain, affordable, reliable, and timely products. Following the economic slowdown that has engulfed the world since 2008, Siemens in India also started a financial services division to help customers purchase its goods. In 2011, it created a division to focus on infrastructure projects and urban demand. 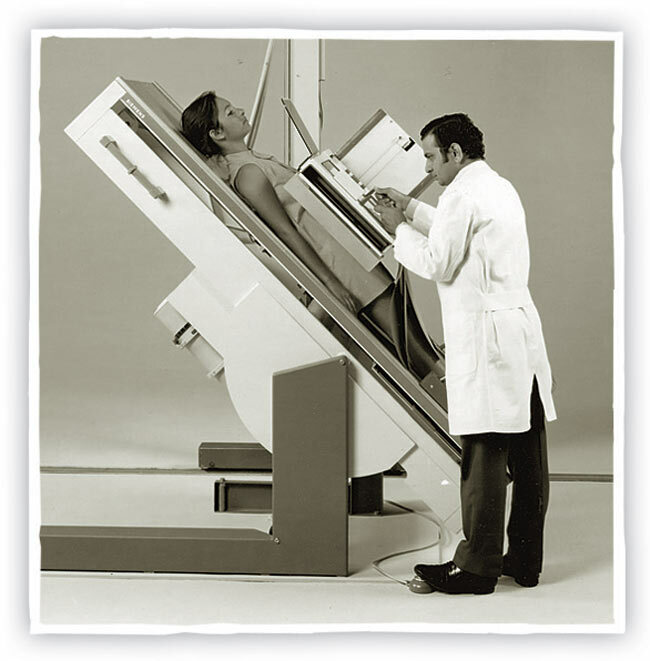 Until then, the company operated in energy, industry and health-care segments. 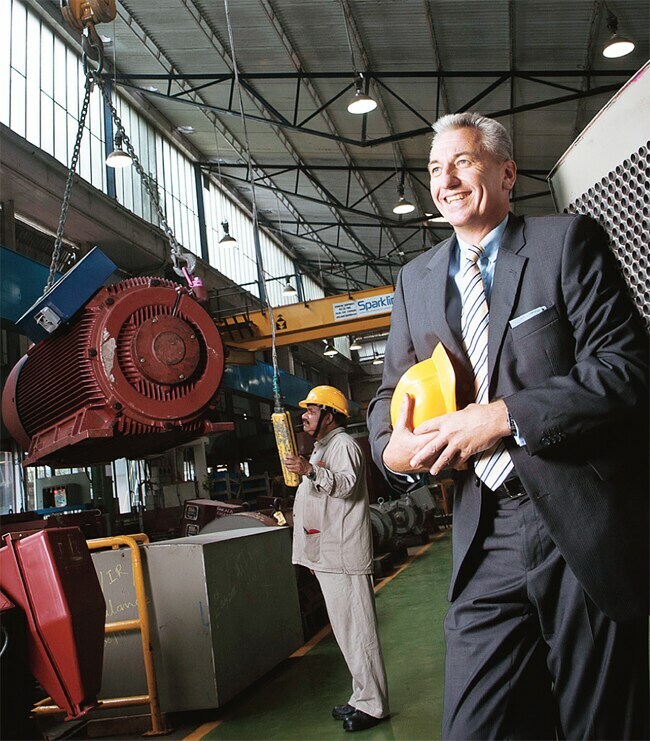 "Two-three things changed dramatically in the company, not only for Siemens in India, but Siemens globally," says Armin Bruck, Managing Director and CEO at Siemens Ltd, the local unit. "One of them is making Siemens India an employee-centric organisation, while earlier it was customercentric," says Bruck. This has helped the company curb attrition to about four-five per cent currently from 12-13 per cent in 2007. "Siemens India is among the best across Siemens in terms of employee satisfaction, an indication that we are on the right track. If we have highly motivated, highly qualified and highly engaged people, it will automatically help in optimisation of profit, products and customers," he adds. 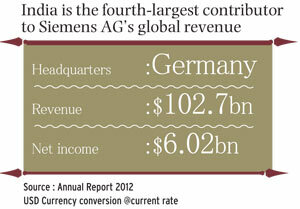 The second change is India's growing importance in Siemens globally. The India unit makes up 2.5 per cent of the company's global revenue. Bruck says Siemens India can also provide high-quality, low-cost products to the world. Already, overseas business contributes about 15 per cent on average to the India arm's revenue. The last fiscal year has been tough. In the year through September 2012, the India unit posted a 59 per cent drop in net profit to Rs 343 crore. Revenue grew 7.5 per cent to Rs 12,920 crore. The company is focusing on gaining market share, controlling costs, and protecting the bottom line. It recently closed its wind turbine factory even before starting operations, a decision that did not go down well with some people in the company. Bruck is unapologetic. "I am not paid to be the most popular guy. I am paid to run a sustainable and profitable company," he says. What are the company's growth targets? "We had talked of 12 billion euro (in revenue) in our Vision 2020, but today we don't talk about the time," says Bruck. "We all have to know it's a long winter. At the end of the winter there is summer and it will come and when it comes we have to be prepared before the market."